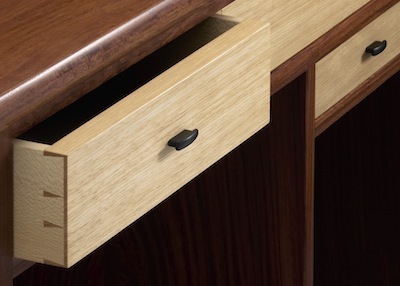 Laotian Padauk, Hickory, Quarter-sawn Sycamore, with Ebony pulls. 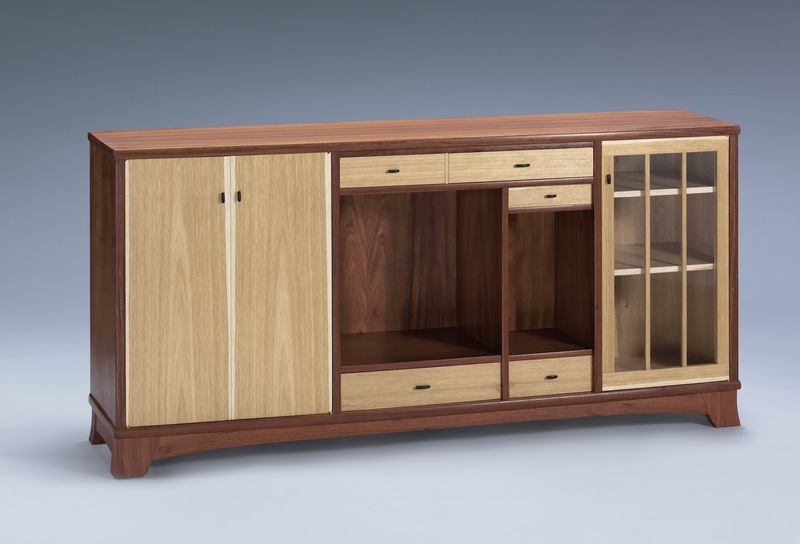 This Scotch Cabinet was built to a client's specifications for storing scotch, wine and valuables. 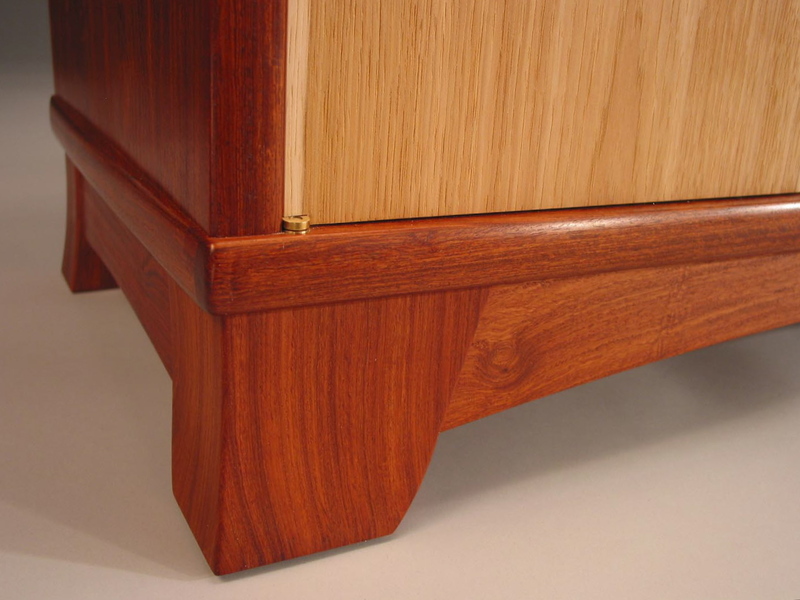 The frame is Padauk and the doors, drawer faces and shelves are Hickory. The front has a subtle curve. 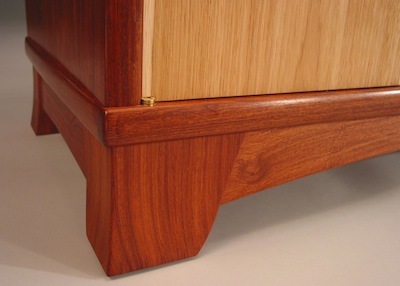 The doors and drawer fronts are curved to match. I have incorporated a secret compartment into the design.